What it does: Mild, medicated soap helps clear and prevent acne on face and body. Targets breakouts with encapsulated, acne-fighting salicylic acid. Removes dirt, excess oil. Unclogs pores. Skin looks and feels calmed, smooth and comfortable. Explore the entire range of Combos @ Nykaa available on Nykaa. 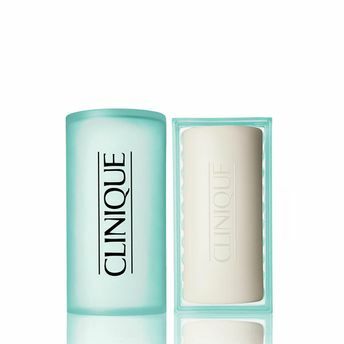 Shop more Clinique products here.You can browse through the complete world of Clinique Combos @ Nykaa .